Please join us for the 12th and FINAL Anger Management Battle To Warped Tour. 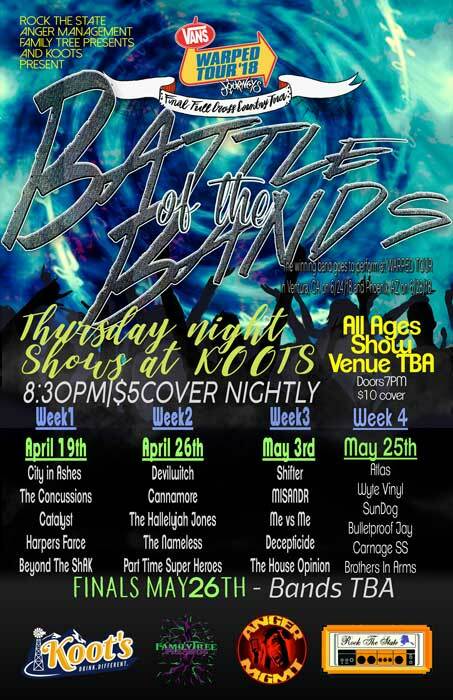 Koot's is hosting the 21+ battles with preliminary rounds on April 19th, April 26th and May 3rd. 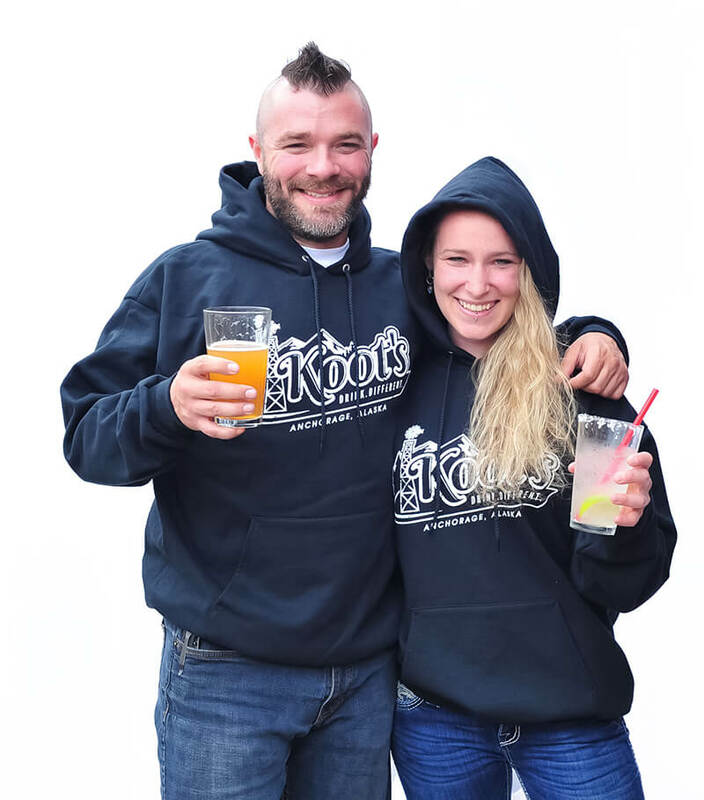 One band will move on from each preliminary round to compete in the finals on May 26th.The winning band from the finals will travel to play two dates of the Final Cross Country run of Warped Tour in Ventura, California on 6/24/18 and Phoenix, Arizona on 6/28/18. They will also be playing the Official Warped Tour Pre-Party in Phoenix on 6/27/18.